Amidst desert landscapes and the waters of the Arabian Sea and Persian Gulf, the UAE is home to a diverse array of wildlife. If you love wildlife safaris, birdwatching or exploring the ocean, here are some of the creatures you may come across here. The Arabian Oryx is the UAE’s national animal and can be found at the Arabian Wildlife Park easily accessible from Anantara Sir Bani Yas Island Al Sahel Villa Resort. Other mammals that call the UAE home include camels, mountain gazelles, the Arabian wolf, the Arabian wildcat and the Arabian leopard. The UAE has recorded more than 400 bird species. Be you staying at Abu Dhabi luxury hotels or budget guesthouses, you can look to get in some birdwatching. The national bird of the UAE, the falcon takes pride of place, while the Kentish plover, sooty gull, short-toed snake eagle, broad-billed sandpiper and the desert lark can also be spotted. 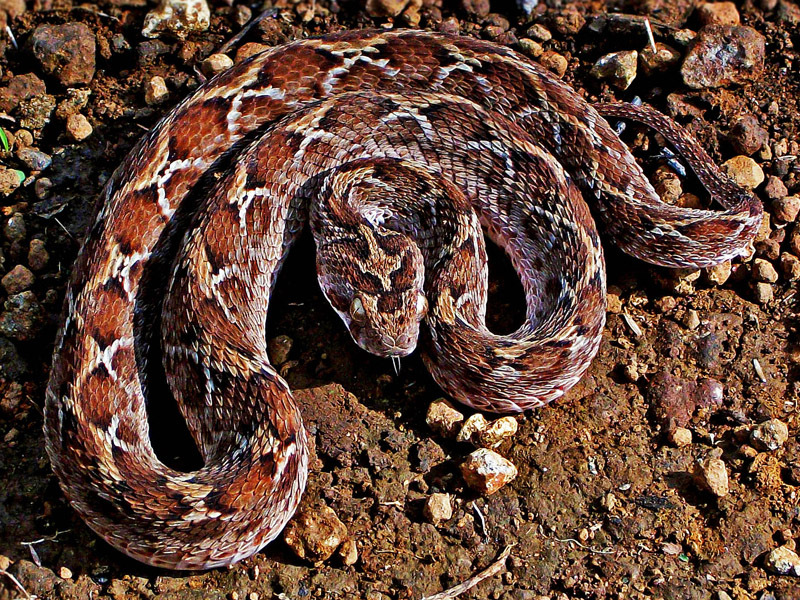 The saw-scaled viper and the sand boa are amongst the terrestrial snakes of the UAE, while there are many lizards as well. As for amphibians, the main species are the Dhofar toad and the Arabian toad. When it comes to marine life, the UAE is home to Indo-Pacific humpbacked dolphins, humpback whales, whale sharks and hawksbill and green turtles. The surrounding waters also play host to a vast number of fish species the likes of catfish, reef sharks, sweetlips and sunfish. 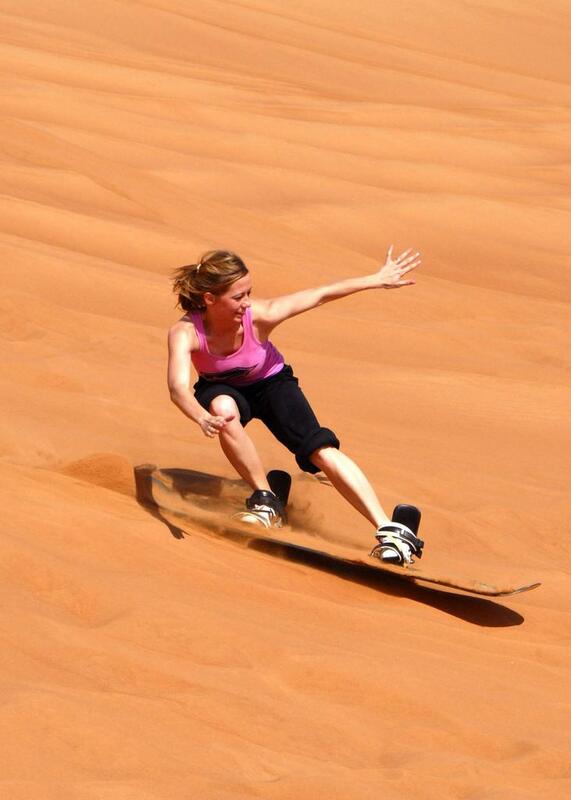 Dune Bashing in Desert – Feel the thrills! An ocean of sands with waves of towering dunes is all that you see in the expansive Arabian Desert. The stunning landscape gives the best opportunity for outdoorsy people to indulge in the thrills of dune bashing! Read on to know more. Dune bashing is the term that is used to describe cruising over the dunes on an SUV, particularly in desert regions surrounding Abu Dhabi. Desert tour programmes in these regions have a variety of segments and dune bashing is one of the star attractions. During the ride, the skilled drivers manoeuvre the sports utility vehicle at dizzying speeds which allows you to feel the adrenaline rushing through your veins. Usually, if you had booked a desert tour you’d be picked up from your resort property and be taken to the site. The same vehicle will take you on a thrill ride once you have arrived at the dune site. There will be a lot of shouting and screaming while your driver pulls off amazing stunts on the 4×4. You could find a number of desert tours by going through the web. But be sure to do some research before joining one. If you wish to avoid many hassles you could opt to stay at a resort property the likes of Qasr Al Sarab Desert Resort by Anantara which already has dune bashing in their leisure activity list. Be sure to wear comfortable clothes – ones that help you to stay at ease as well as off from sand, wear a scarf and try to avoid shoes and wear sandals instead. Brings your camera with you if you are a photography enthusiast – the sceneries will be spectacular. Also, drink plenty of water and stay hydrated during your time in the desert. A 24-hour Abu Dhabi Experience – Set your timer! Abu Dhabi is an industrious city with a gorgeous waterside location. Being the modern city and bustling centre, it is today, it features many facets that you can experience in a single day. Often considered the most popular attraction in all of Abu Dhabi, the Sheikh Zayed Grand Mosque is one of the 8 largest mosques in the entire world. The mosque is open to the public daily from 9 a.m. onwards and is the perfect location to start off your day in Abu Dhabi. The afternoon can be the time for some family fun at Ferrari World, a theme park that is home to an assortment of rides and attractions including the world’s fastest rollercoaster. You can also grab lunch at any of the food outlets present here. While the Yas Viceroy is a hotel, the reason to step in here is to check out its neighbouring racing circuit that is the Yas Marina Circuit. From here you can take a peek at the track and check out a race before you head over. Sit down to have a coffee at Le Café in the Emirates Palace, the perfect way to wrap up your day before you check into one of the resorts in Abu Dhabi to rest up, such as the Desert Islands Resort & Spa by Anantara for example. Yachting in Abu Dhabi – Ahoy there Sailor! If sailing aboard a luxury yacht is your thing, then read on to find how it works in Abu Dhabi, one of the most exciting cosmopolitan cities in the world! Claiming its own pristine 100-meter- stretch of beach, on the Corniche Breakwater, and an array of facilities, the Royal Yacht Association is an accredited club which can be easily reached from many an exclusive resort in Abu Dhabi including the likes of Anantara Sir Bani Yas Island Al Yamm Villa Resort. In addition to the offered boat rentals and RYA courses, the club also offers guests kayaking, rowing packages and stand-up paddle boarding to engage in. Feast your eyes on panoramic views of the city occupied with modern cutting-edge skyscrapers and architectural marvels during the cruise. Other sites you will take in on the yachting sessions include the Lulu Island, the Emirates Palace and Heritage Villages. You will also be accompanied by pods of playful dolphins! Safety is considered to be of utmost importance. The skippers will provide you with a life jacket before you board the top of the line vessel. You will also be required to listen to a safety briefing before starting off. Shopping Malls in Abu Dhabi – Every Shopaholics Dream Come True! Give reign to the shopaholic in you when visiting Abu Dhabi because it is guaranteed to be a fantastic experience! Here are the top 4 shopping malls that are a must visit for a decadent shopping spree!!! Home to fashionable luxury brands such as Chanel, Alexander MacQueen, and Jimmy Choo among others, The Galleria is a trendy mall which is located in the Abu Dhabi Global Market Square. It can be easily reached from hotels such as Eastern Mangroves Hotel & Spa by Anantara. The Marina Mall opened its doors to avid shoppers in the year 2001 and houses anchor stores such as Gucci and Prada. The complex also features a bowling alley and a revolving restaurant on top of its 30 storied observation tower. Nestled in the very heart of the city and offering visitors many interactive things to do, Abu Dhabi Mall features over 200 fashion labels. The complex also presents a wide range of dining options such as chic little cafés and fast food outlets to cater to every preference. Named after the Al Wahda Foot Ball Club situated next door, this mall opened in 2007. Since then, it has evolved to become one of the largest shopping complexes in the UAE featuring a cinema hall, spa & wellness centre and exclusive speciality concept stores. Exotic Spa Treatments – The Middle East’s next big thing. The glittering capital of the United Arab Emirates features sprawling theme parks, soaring high rises and sleek megamalls. Fast becoming one of the key holiday destinations in the world is Abu Dhabi. Resorts in Abu Dhabi exude luxury with modern designs and attractions that are constantly growing bigger and better. In 2015, the city welcomed about three and half million tourists. Abu Dhabi has many dimensions: glamorous, affluent and modern as well as traditional, cultural and religious. There is also tranquility to be found on Sir Bani Yas Island. Here you will find yourself enjoying a slower pace in the midst of the celebrated Arabian Wildlife Park. Within the park is the Anantara Sir Bani Yas Island Al Sahel Villa Resort, one of Abu Dhabi’s leading eco-friendly luxury resorts. A spa and wellness culture has started to build up along with the boom in tourist traffic to the Middle East. The Middle East has made a name for itself with its theme parks and culinary experiences, now it is looking to market itself as a destination for world class spas. Abu Dhabi already has several established spas and wellness facilities; many are attached to leading hotel chains. Not long ago, Yoga gained much popularity in Abu Dhabi with more residents starting on an active path to a healthy existence. Spa destinations are as much about the treatments as they are about the location. The Middle Eastern experience draws from the tranquil lull of the dessert, the burbling of a mangrove waterway or the call of the ocean to create its ambience. There are healing rituals that have existed in the region for centuries that have been worked into an array of indigenous treatments. The massages lean towards authentic and natural healing methods. The spas also sell beauty products that are created using highly prized, locally sourced, natural ingredients. The capital of the United Arab Emirates is the bustling and industrious emirate of Abu Dhabi. Known for serving as the hub of political activity in the UAE, Abu Dhabi is one of the world’s foremost business and financial centers. With numerous attractions, iconic landmarks, and many amazing sights and features, it is also one of the region’s top tourist destinations. Abu Dhabi’s thriving hospitality industry is home to many iconic resorts such as the Desert Islands Resort & Spa by Anantara; a luxurious beach resort Abu Dhabi that makes an ideal base for your travels. Before the advent of the oil, finance, and tourism industries, there was one industry of Abu Dhabi that not only provided the bulk of its income, but also put Abu Dhabi on the map; that industry was pearling. Abu Dhabi provided the world with some of the finest pearls known to mankind, and maintained a reputation of being the world’s premier pearl supplier till the mid 1900’s. Though pearling is no longer given the prominence it used to be given, pearling and pearl divers still remain a vital component of Abu Dhabi’s culture and heritage. Abu Dhabi’s pearling industry boomed towards the 18th and 19th centuries, as international demand increased and more and more locals took to pearl diving. The hardships of the pearl divers of this time were legendary, as they faced immense risk both financially and to their own lives, as diving to depths of up to 40m was indeed a daring task. Pearling was essentially a lifestyle for those engaging in pearl diving, as communities of pearl divers and fleets of dhows were formed in Abu Dhabi. Today, with the advent of other industries pearling is no longer practiced widely as it used to be. But there are many dhow tours and museums dedicated to the life and times of Abu Dhabi’s pearl divers; a culture and heritage which was the foundation of modern Abu Dhabi.